And, it wasn't the winner we thought it'd be. Macaroni and cheese is a Southern institution. 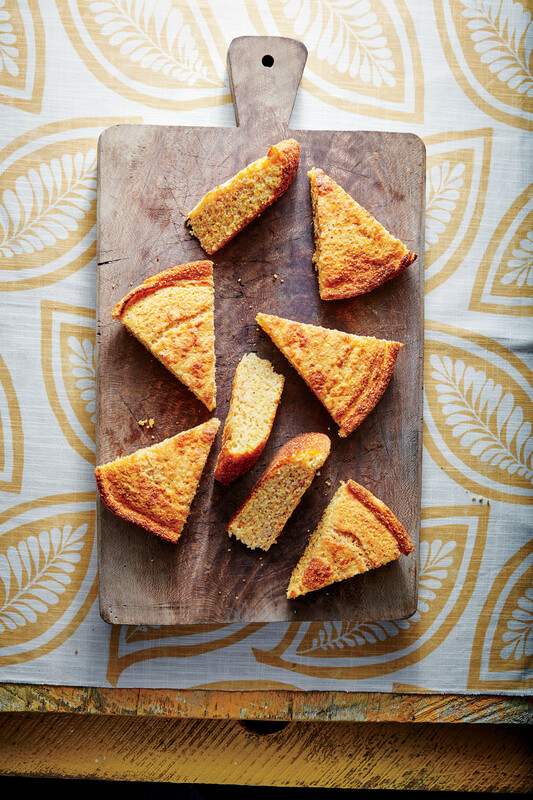 While others around the country serve macaroni and cheese as a dinner entree, Southerners serve it as a side (with every meal). This creamy, casserole-style dish is the perfect complement to pulled pork, fried chicken, hamburgers, chicken and dumplings – you name it. Macaroni and cheese is also, in the South, considered a "vegetable," which is just another example of how seriously we take it. Pick it as your "vegetable" at the local meat-and-three or with Cracker Barrel's Country Vegetable Plate, and you won't be disappointed. Velveeta is its own genre of macaroni and cheese for its iconic squeezable cheese pouch and shell-shaped noodles. This is the boxed brand most staffers admitted to cooking as a side dish, and, sure enough, it was voted the tastiest. It had a very creamy consistency – the creamiest of the bunch – some said, and it had a thicker sauce than others that were tested. 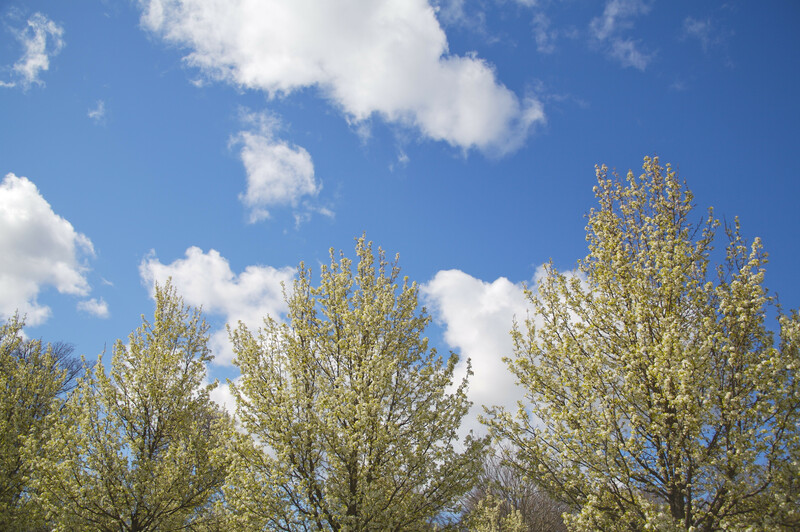 One staffer said that she "used to love it as a kid, so it [made her] happy" in a nostalgic way. Most tasters also commented on the shell-shaped noodles, saying that shells made the macaroni and cheese feel a little heartier and had a better texture than the other noodles. The shells created little "pockets of cheese" to hold the Velveeta sauce. In the words of one of our producers: "You cannot confuse Velveeta." With just one vote less than Velveeta, the Sharp Cheddar flavor of Cracker Barrel's macaroni and cheese came in a close second in our blind taste-test. And, the reactions to this elbow-noodle recipe were pretty divided. While some said it was their "least favorite" and that "it tastes like a mix of powdered cheese and squeeze cheese," others said that it tastes like an upgraded version of boxed mac and cheese with soft noodles, "good and cheesy" sauce, and an "authentic-looking" presentation. This macaroni and cheese had a much lighter color than the neon oranges of Velveeta and Kraft Mac & Cheese, so it looked much more like what Mama would serve at the church potluck (with a "nice sheen to it," as our office manager stated!). The cheese in the boxed Cracker Barrel choice also stuck to the noodles better than the others. But, beware the after-taste. Most people commented on the "strange twang" that hits once you've swallowed. 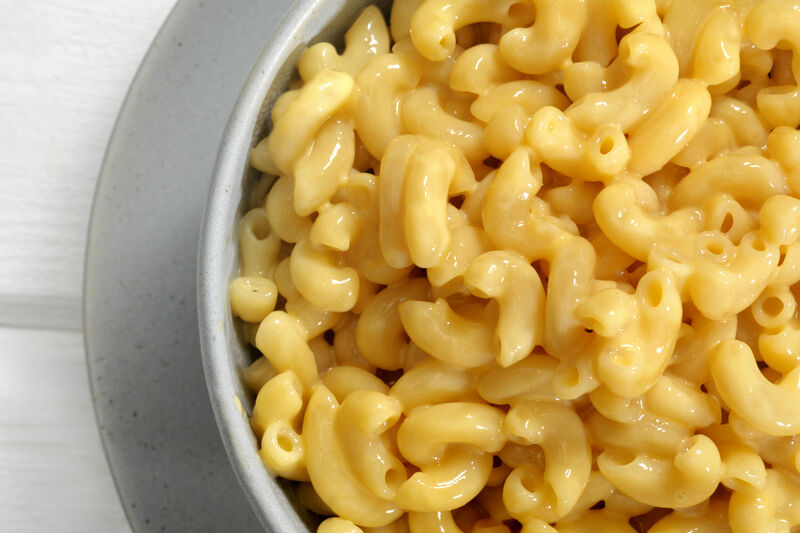 The classic blue box of Kraft macaroni and cheese is probably the most familiar of the bunch, and for good reason: it's been around since the 1930s. Most folks could identify the short noodles and vibrant cheese sauce without even knowing which box it came from, and a lot of the tasters spoke first of the nostalgia this boxed brand evoked. "Not only is it good, but it's what I grew up on," one staffer remarked. 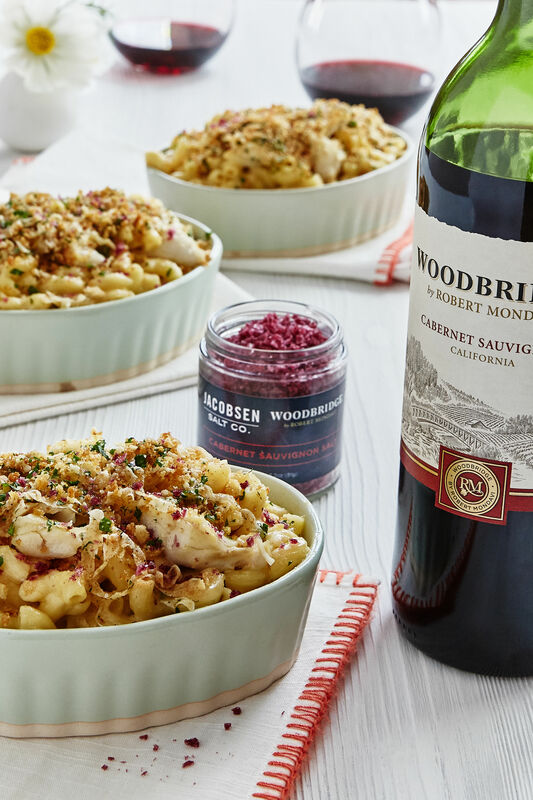 Although we expected this brand to come out on top, surprisingly, the flavor of this macaroni and cheese fell a little flat compared to the competition. The cheese sauce was the thinnest, a little sweet, and felt a little bland compared to the pre-made cheese pouches. The best quote? "This has that 'Mom's not home, cook yourself something for dinner' taste." 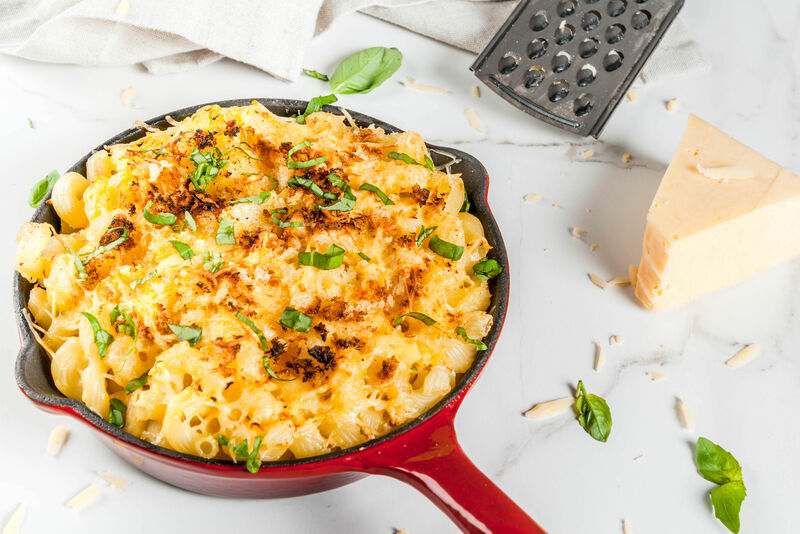 With just one vote from our staff, this healthier macaroni and cheese came up a little short against its processed, cheesy competition. Most editors complained that it didn't really have a flavor, and "it just tastes like noodles." The cheese sauce was thin, and it didn't stick very well to the noodles. Those who liked it, though, really liked it. Our office manager voted it as her favorite because "it doesn't taste so fake," and a few tasters picked it over the classic blue box of Kraft Macaroni & Cheese. 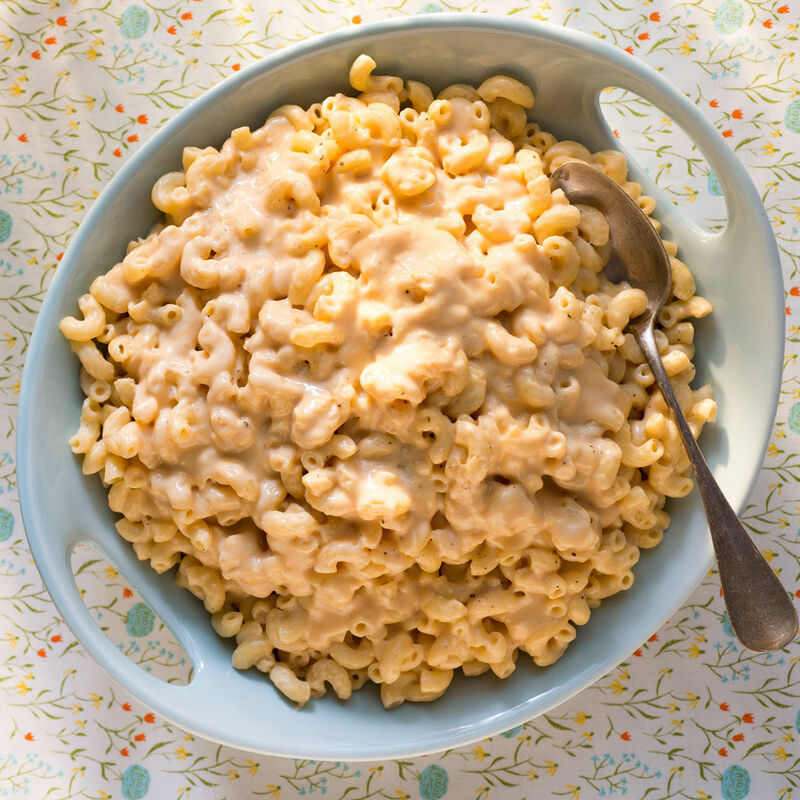 Overall, the boxed macaroni and cheeses that used a squeezable cheese pouch won out for creaminess and flavor over their powdered cheese counterparts. All of the boxes evoked a little nostalgia for our staff, with a few of them taking additional scoops of their favorites back to their desks. 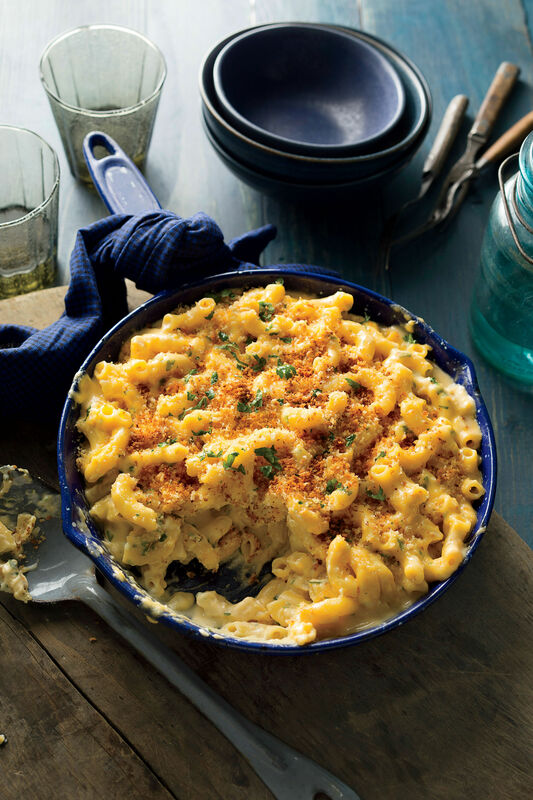 And, in the words of one of our digital editors: "No mac and cheese is bad – it's still mac and cheese."